This skirt makes me want to dress up like a fairy princess! 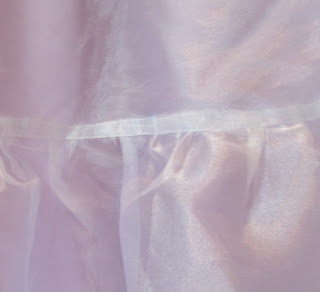 I made the skirt in two layers, one layer of lilac/lavender prom dress satin beneath a layer of a shimmery translucent white fabric. It gives the skirt an ethereal look and adds dimension. In the back of the skirt I used the eye sides of hook-and-eye tape to create a lace-up corset back. The lilac fabric underneath covers the small gap. 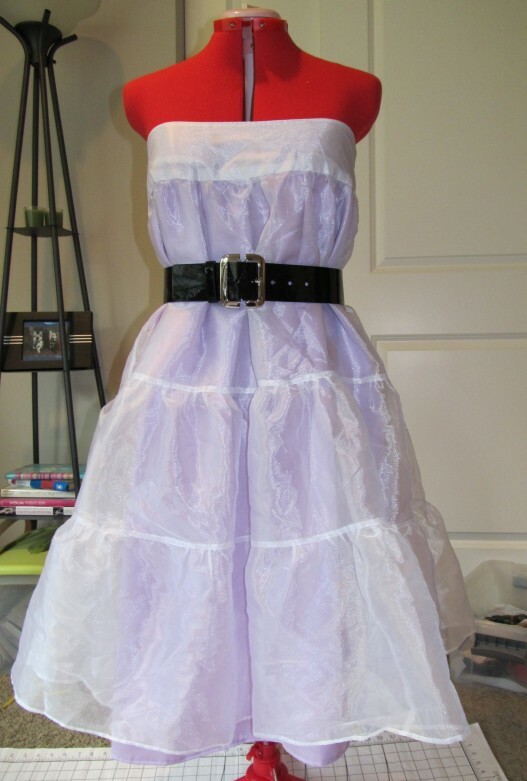 I bet this would be cute bustled too! 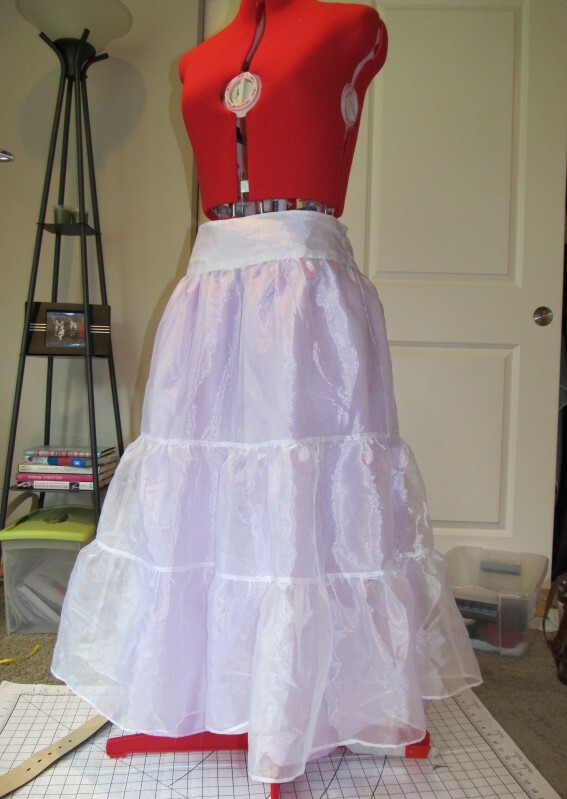 I found that french seaming worked very well with the see-through material of the skirt since all of the hems would be visible even from the outside. 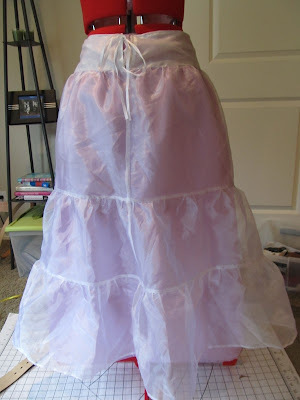 French seams work best when the seams are straight (not curved). When you cut your fabric, leave 3/4" - 1" seam allowance. First sew the seam with the WRONG sides of the fabric together, sewing 1/4" or less from the edge of the fabric. Press the seam allowance to one side of the seam, then fold the fabric so the RIGHT sides are together, press the seam so you have a nice folded edge along the seam with the seam allowance inside. Now sew the seam with the RIGHT sides together, greater than 1/4" from the edge (the remainder of your seam allowance), encasing the raw edges inside a thin tube.